Features: Colorful and perfect for the Holidays. Swarovski and coral beads all hand wrapped with sterling silver wire and enhanced with tiny silver seeds. 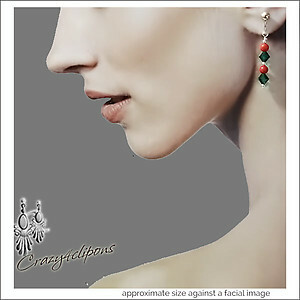 These earrings are very elegant and very dressy. 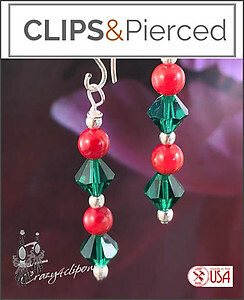 Pierced-like clips are recommended to keep the elongated look.